I am a very passionate and ambitious person. I have a positive attitude and want to be the best I can be. I have a keen commitment to perform and thrive on a busy work environment. I liaise extremely well with clients and employees and have an ability to strike up trusting and lasting relationships. 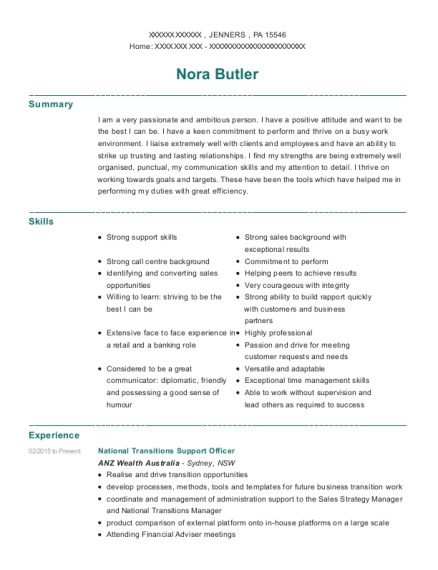 I find my strengths are being extremely well organised, punctual, my communication skills and my attention to detail. I thrive on working towards goals and targets. These have been the tools which have helped me in performing my duties with great efficiency. 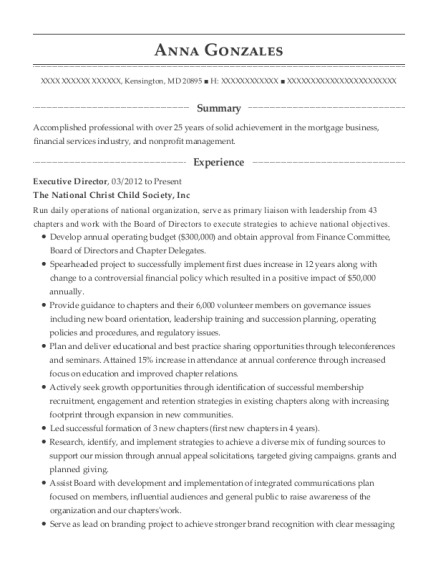 This is a resume for a National Transitions Support Officer in JENNERS, Pennsylvania with experience working for such companies as ANZ Wealth Australia and ANZ Wealth Australia. 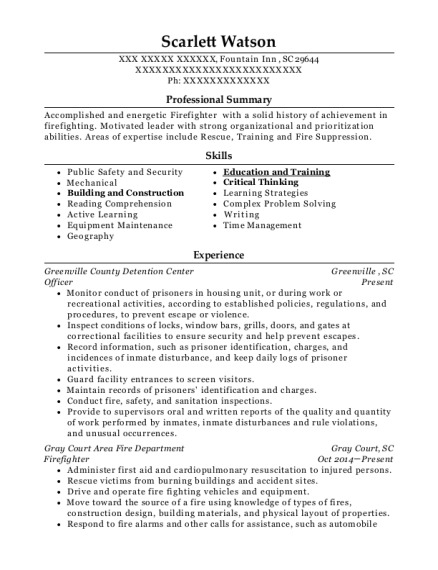 The grade for this resume is 0 and is one of hundreds of National Transitions Support Officer resumes available on our site for free. 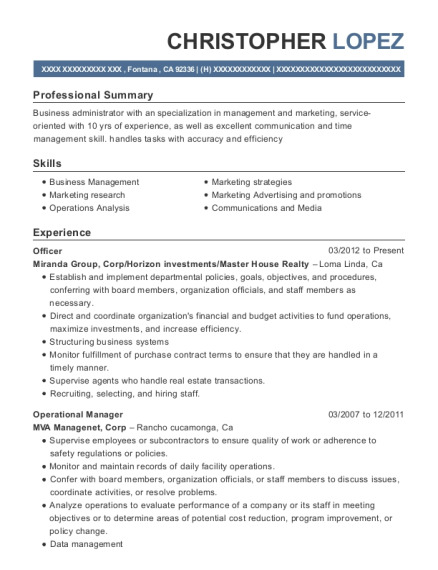 Use these resumes as templates to get help creating the best National Transitions Support Officer resume.